Put your hands together for the sparkling and sweet blend of the Linari Senso fragrance. Agile and evolving marine notes join the sharp citrus of lemon and bergamot. Ylang ylang and jasmine provide floral calmness.Sandalwood and cedar fuse with whitemusk creating a base note that is intimate and serene. Linari Senso bouquetcelebrates all things brightandbeautiful. Delight in the stressfree and joyful times with a whiff of Linari Senso room diffusers. The perfect scent when entertaining guests or for a special evening. Seduce and attract with the amorous smell wafting from your space. 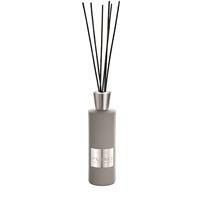 Linari Senso room diffuser refill bottle comes in 500 ml/16.9 oz. The bottle has a polished cap with smart refill logos printed on it. It comes with a new set of capillary sticks to replenish the smell.